Well positioned in amongst its own oasis of trees and shrubs on 887sqm with no lawns to mow. This home/ Bach, comprises 3 double bedrooms, ensuite, separate bathroom & laundry, open plan living , dining and kitchen, all opening out onto an extensive deck purpose built for sun soaking , relaxation and summer entertaining . But wait there's even more room, plenty of space for those extra guests with two large rooms, located on the lower level, perfect for teenagers, hobby room, or maybe set up your own work shop, the options are open to you. 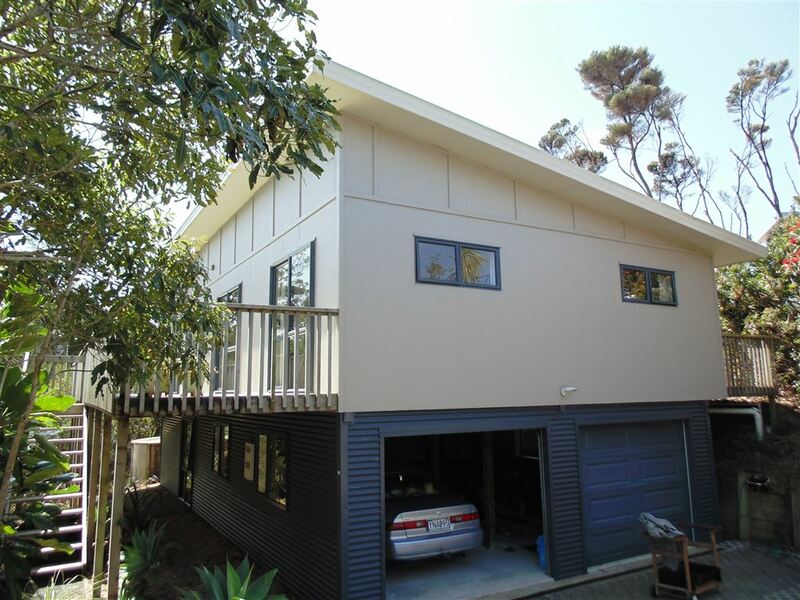 Off road parking room, plus double garage provides ample room for those beach toys, golf clubs, buggy and car. Located just a few minutes drive or pleasurable walk to shops, cafes and golf course. Take a look today summer is here, and this property is vacant, and ready to go!! Call Ken Davies for you viewing today. Chattels remaining: Blinds, Drapes, Fixed floor coverings, Light fittings, Stove, Furn all available by negotiation after sale.